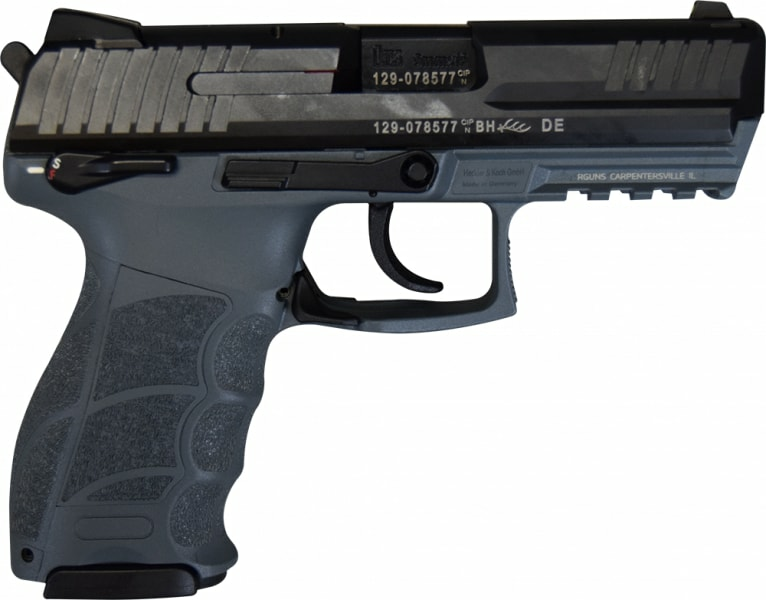 The H&K P30S features an ambidextrous safety lever mounted on both sides of the corrosion-proof, fiber-reinforced polymer frame, a Picatinny rail, and the patented HK recoil reduction system. The extractor doubles as a loaded chamber indicator, providing a tactile and visual reminder of a loaded chamber. The P30S comes with interchangeable backstrap inserts and lateral plates, allowing the pistol to be individually adapted to any user. This is the variant 3 with a DA/SA trigger and a serrated decocking button. This model has a grey polymer frame with a one-piece machined slide made from nitro-carburized steel. This pistol ships complete with a hard case and (2) 15 round magazines. 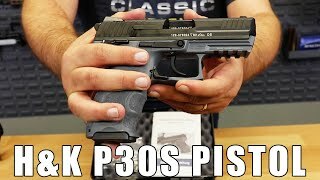 The H&K P30S features an ambidextrous safety lever mounted on both sides of the corrosion-proof, fiber-reinforced polymer frame, a Picatinny rail, and the patented HK recoil reduction system. The extractor doubles as a loaded chamber indicator, providing a tactile and visual reminder of a loaded chamber. 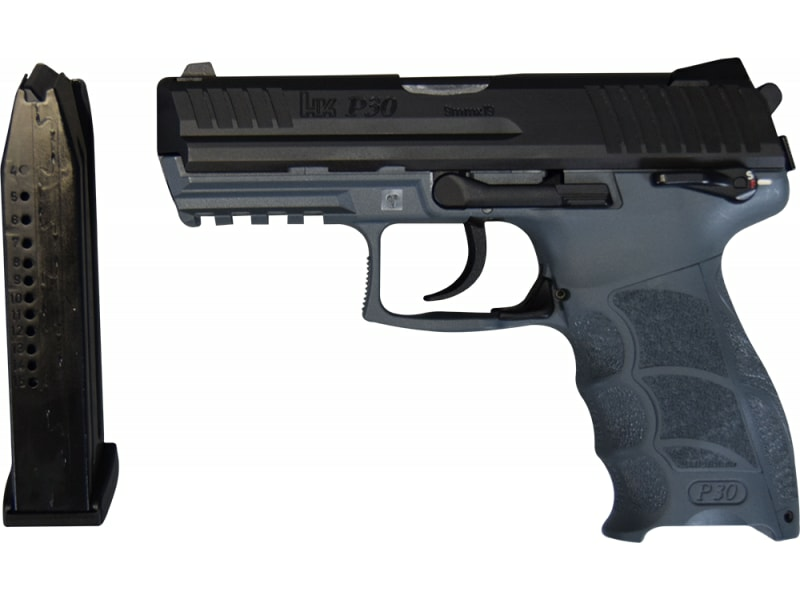 The P30S comes with interchangeable backstrap inserts and lateral plates, allowing the pistol to be individually adapted to any user. This is the variant 3 with a DA/SA trigger and a serrated decocking button. This model has a grey polymer frame with a one-piece machined slide made from nitro-carburized steel. 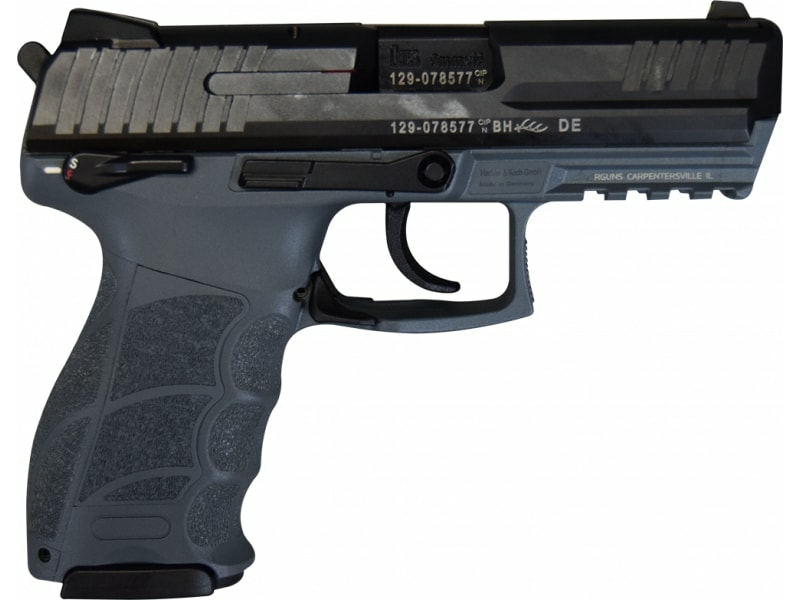 This pistol ships complete with a hard case and (2) 15 round magazines. 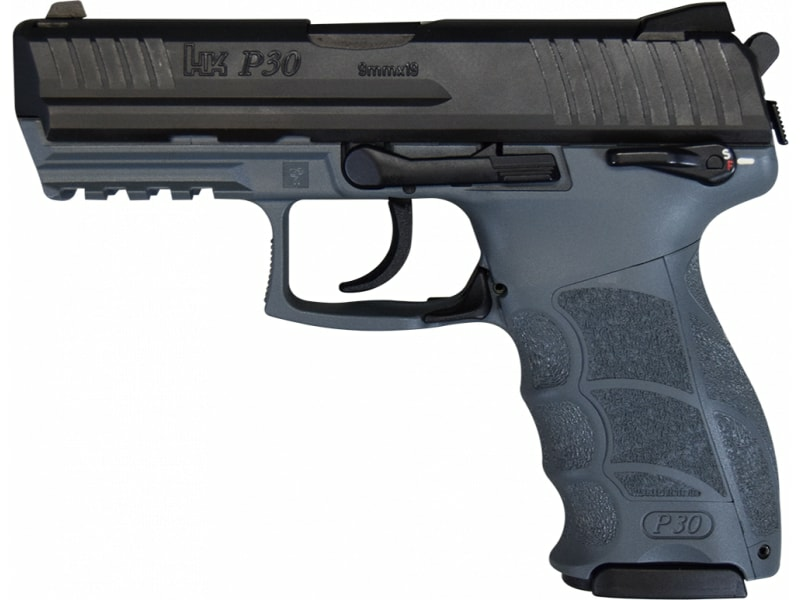 A recent HK pistol design, the P30 is a modern police and security pistol that combines function and safety. Ergonomic features include a special grip frame with interchangeable backstrap inserts and lateral plates, allowing the pistol to be individually adapted to any user. Ambidextrous controls include dual slide releases and magazine release levers. 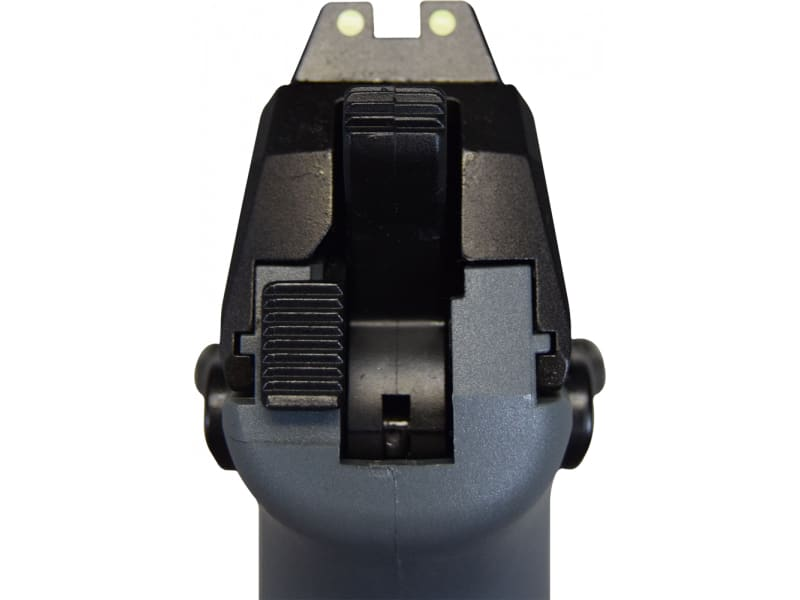 Variants with a conventional double-action/single action trigger have a serrated decocking button located on the rear of the frame.